I get frustrated easily, I admit. I want (expect) projects to run smoothly, and I assume that the hardest part of a project is going to be related to my own lack of experience or knowledge, nothing else. So when something is tedious, time-consuming, or difficult — and it feels like it shouldn’t be any of these things — I obsess over it. Constantly. Sometimes I go to thrift stores or hardware stores, just to browse the aisles looking for some clue, some random way to fix whatever problem I’m having by using something in a way for which it wasn’t originally created. Sometimes this works; I have some really great, albeit weird, tools now because of this habit. Sometimes it takes many, many trips, and more trial and error messes than I care to admit. But eventually, a solution usually presents itself. This is one of my favorite and definitely most time-cutting, mess-inhibiting, frustration-avoiding creations — stoning stretcher bars. The concept is simple, really — they’re just PVC pipes cut to various lengths, connected with PVC elbow joints. The frame fits inside whatever it is you happen to be stoning, and it keeps the garment or project perfectly flat while you work. When you’re finished, take it apart, string your joints together and throw a rubber band around your pipes — and the whole thing stores in a drawer or corner of your work area until the next time you need it. 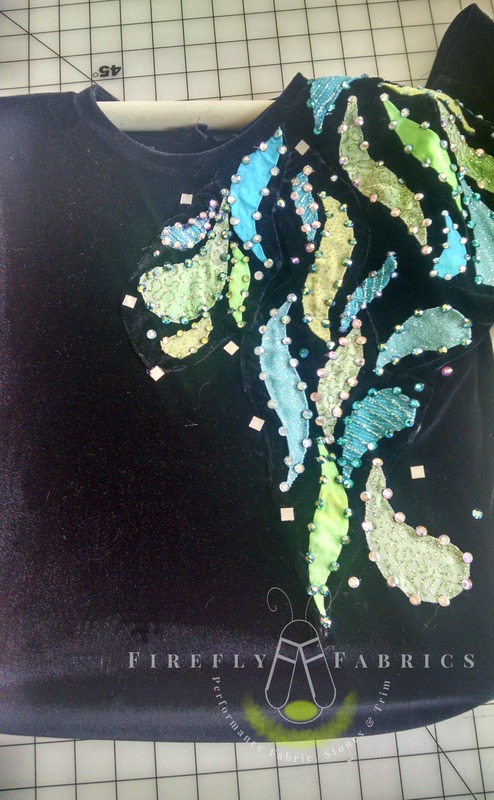 Depending on the size of your frame, you can stretch the fabric or not — depending on the needs of your project. 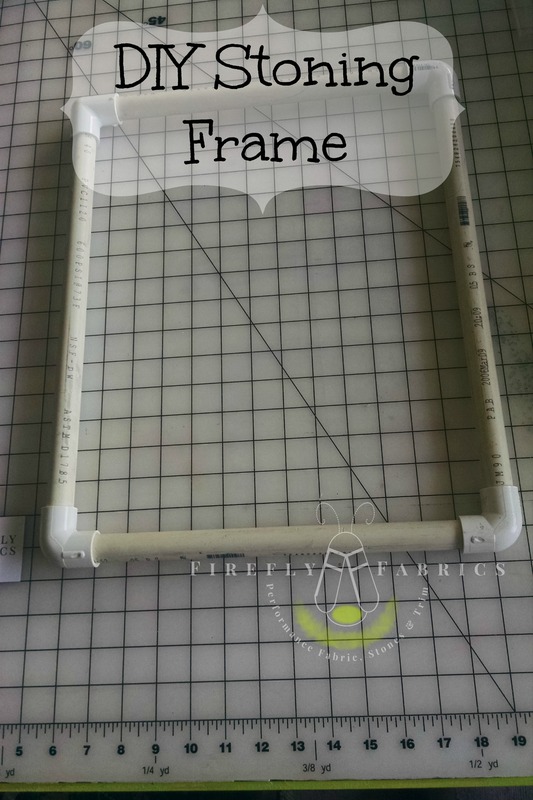 One side benefit of using this frame is that it doubles as a carrying handle so that I can stone the front, flip it over, stone the back, and stand it up/stack it/move it/whatever without the risk of not-quite-dry glue ending up somewhere it shouldn’t. You can’t do this with those cardboard t-shirt inserts that some people use — not only does the cardboard bend, but since there is no space between the fabric and the board, often you’ll discover that you’ve successfully glued your garment to the cardboard. The PVC pipes keep the front away from the back with a small channel of air between them, which not only avoids the whole “cardboard pieces are now stuck to my garment” thing, but it also helps the garment to dry much faster thanks to the additional air circulation to both sides of the fabric. And as your subject grows, and kids annoyingly do, your cardboard can’t grow with her — but the PVC frame can. I even have sleeve forms which attach to each side of the frame with additional PVC fittings, for the times when I want a sleeve to lay flat while I stone it…but usually, I put together a simple frame and insert it in the garment, as shown below. I keep multiple lengths of pipe on hand, to accommodate all sizes of garments; but if you’re only stoning for one person (and therefore one size), this isn’t necessary. In the course of a project, I’ll leave the garment on the frame and insert the entire frame into a thick gauge garment bag with a ziploc seal at the top (details next Tuesday!). This way, I can stack a dozen or more garments in-progress, keeping each clean, unwrinkled, and ready to be stoned again. Maybe the best part of this solution is the price — PVC is ridiculously cheap. Plus, even someone with my rudimentary hardware/construction skills had no problem cutting the pipes without the assistance of my resident handyman/construction wizard.